Yusuke Fujii, Junichi Asama, Takaaki Oiwa, and Akira Chiba, “Balance Control of Split Capacitor Potential for Magnetically Levitated Motor System Using Zero-Phase Current”, 24B3-5, pp. 4042-4048, May 20-24, Niigata, Japan, 2018. Junichi Asama, Dai Suzuki, Takaaki Oiwa, and Akira Chiba, “Development of a Homo-Polar Bearingless Motor with Concentrated Winding for High Speed Applications”, Proceedings of the 2018 International Power Electronics Conference (IPEC-2018), 21D1-1, pp. 157-160, May 20-24, Niigata, Japan, 2018. J. Asama, T. Shibata, T. Oiwa, T. Shinshi, and A. Chiba, “Performance Improvement of a Bearingless Motor by Rotation about an Estimated Center of Inertia”, Proceedings of the 11th International Symposium on Linear Drives for Industry Applications (LDIA 2017), Sep. 6-8, Osaka, Japan, 2017. J. Asama, T. Oi, T. Oiwa, and A. Chiba, “Investigation of Integrated Winding Configuration for a Two-DOF Controlled Bearingless PM Motor Using One Three-Phase Inverter”, Proceedings of the IEEE International Electric Machines and Drives Conference, ID-420, May 21-24, Hilton Hotel, Miami, FL, USA, 2017. J. Asama, T. Oiwa, and A. Chiba, “Radial Force Investigation of a Bearingless PM Motor Considering Spatial Harmonics of Magnetic Flux Distribution”, Proceedings of the 19th International Conference on Electrical Machines and Systems (ICEMS), DS5G-4-10, September 13-16, Makuhari, Japan, 2016. J. Asama, K. Takahashi, T. Oiwa, and A. Chiba, “Reduction in Torque and Suspension Force Ripples of an Axial-Gap Single-Drive Bearingless Motor”, Proceedings of the IEEE Energy Conversion Congress and Expo (ECCE) 2016, P4912, September 18-22, Milwaukee, WI, USA, 2016. J. Asama, Y. Yamamoto, T. Oiwa, and A. Chiba, “Optimal Winding Arrangement of a Surface-Mounted Permanent Magnet Motor for Torque Ripple Reduction”, Proceedings of the IEEE Energy Conversion Congress and Expo (ECCE) 2016, P1105, September 18-22, Milwaukee, WI, USA, 2016. J. Asama, M. R. Burkhardt, F. Davoodi, and J. W. Burdick, “Investigation of Energy Harvesting Circuit Using a Capacitor-Sourced Buck Converter for a Tubular Linear Generator of a Moball: a Spherical Wind-Driven Exploration Robot”, Proceedings of the IEEE Energy Conversion Congress and Expo, pp. 3167-3171, September 20-24, Montreal, QC, Canada, 2015. J. Asama, M. R. Burkhardt, F. Davoodi, and J. W. Burdick, “Design Investigation of a Coreless Tubular Linear Generator for a Moball: a Spherical Exploration Robot with Wind-Energy Harvesting Capability”, Proceedings of the 2015 International Conference on Robotics and Automation (ICRA), pp. 244-251, May 26-30, Seattle, WA, USA, 2015. J. Asama, T. Tatara, T. Oiwa, and A. Chiba, “Suspension Performance of a Two-Axis Actively Positioned Consequent-Pole Bearingless Motor with a Wide Magnetic Gap”, Proceedings of the IEEE International Electric Machines and Drives Conference 2015, pp. 786-791, May 10-13, Coeur d’Alene, ID, USA, 2015. J. Asama, A. Mouri, T. Oiwa, and A. Chiba, “Suspension Force Investigation for Consequent-Pole and Surface-Mounted Permanent Magnet Bearingless Motors with Concentrated Winding”, Proceedings of the IEEE International Electric Machines and Drives Conference 2015, pp. 780-785, May 10-13, Coeur d’Alene, ID, USA, 2015. J. Asama, D. Watanabe, T. Oiwa, and A. Chiba, “Development of a One-Axis Actively Regulated Bearingless Motor with a Repulsive Type Passive Magnetic Bearing”, the 2014 International Power Electronics Conference, IPEC-Hiroshima 2014 -ECCE Asia-, pp. 988-993, May 18-22, Hiroshima, Japan, 2014. J. Asama, K. Samejima, T. Oiwa and A. Chiba, “Investigation of Permanent Magnet Magnetization for a Bearingless Servomotor”, Proceedings of the IEEE Energy Conversion Congress and Exposition (ECCE) 2013, pp. 4306-4311, Sep. 15-19, Denver, Colorado, USA, 2013. J. Asama, T. Tatara, T. Oiwa and A. Chiba, “A Two-Axis Actively Regulated Consequent-Pole Bearingless Motor with Wide Magnetic Gaps”, Proceedings of the IEEE Energy Conversion Congress and Exposition (ECCE) 2013, pp. 1541-1546, Sep. 15-19, Denver, Colorado, USA, 2013. 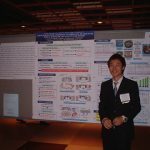 J. Asama, A. Chiba, T. Oiwa, T. Fukao, and M. A. Rahman, “A Design Consideration of a Novel Bearingless Disk Motor for Artificial Hearts”, IEEE Energy Conversion Congress and Exposition (ECCE) 2009, pp. 1693-1699, Sep. 19-24, San Jose, California, USA, 2009. S. Kozuka, N. Tanabe, J. Asama, and A. Chiba, “Basic Characteristics of 150,000r/min Switched Reluctance Motor Drive”, Proceedingss of the 2008 IEEE Power & Energy Society (PES) General Meeting, Jul. 20-24, Pittsburgh, Pennsylvania, USA, 2008.